You’d think after the Cronut turned Dominique Ansel into a global culinary celebrity, every two-bit baker on planet Earth would have already tried their hands at inventing every career-launching doughnut-hybrid possible. But here we are, over three years later, and occasionally a new doughnut mashup is able to catch our attention. 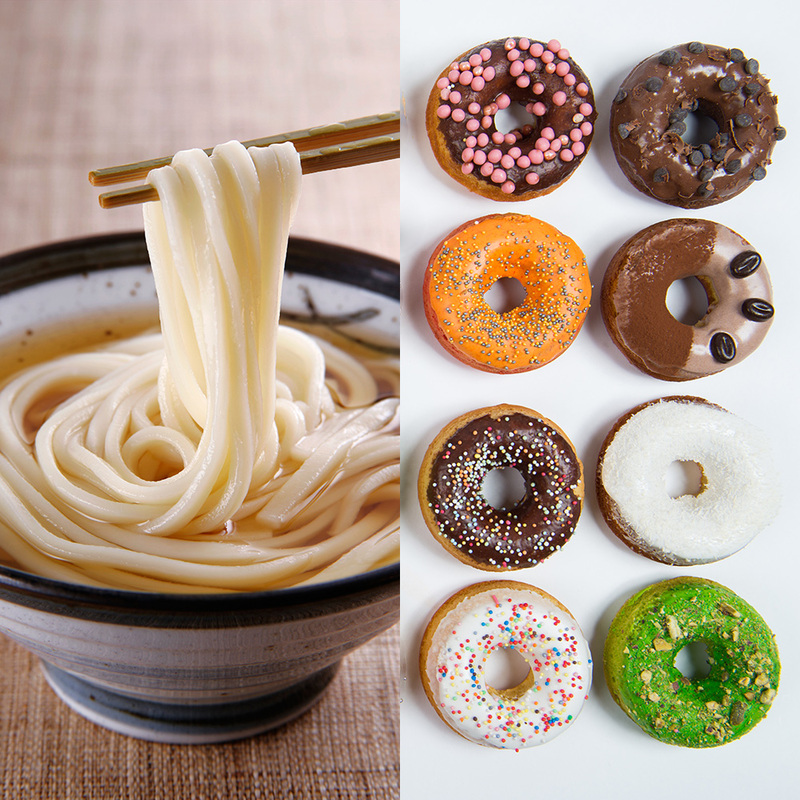 This time around, a café in Japan has recently gained notoriety on Twitter for offering a doughnut constructed from the unlikely ingredient of udon – those ropey noodles typically found in soup. The interesting mashup of noodle and donut was brought to light over the weekend by Twitter user @eiitirou who posted a number of photos of the Japanese dessert as well as some thoughts on her experience eating it. “I thought the udon-ut would just be a donut made to look like udon, but no!” @eiitirou wrote according to RocketNews24. “It was actually fried udon with sugar, kind of like a sweet wonton.” As for the taste, the she says she was also pleasantly surprised: “The outside was crunchy, the inside was like a chewy wonton. Definitely an unexpected, but welcome, addition to udon sweets!” she wrote. Udon-uts reportedly retail for 150 yen – or about $1.40. Doughnut-hybrid obsessives with a decent memory might recall that it was nearly two years to the day that we wrote about ramen doughnuts – a doughnut-noodle mashup that could be considered the udon-ut’s closest kin. Still, though ramen doughnuts may have been around for a while, the thicker udon seems like a more sensible choice for giving a noodle doughnut a better chewy texture. That said, the most sensible choice is probably not making a doughnut from noodles at all; I’m just saying if you have to pick a noodle to make a doughnut out of, these udon doughnuts do look pretty tasty.